A pulse-pounding thriller by #1 New York Times bestselling phenomenon Vince Flynn, as Mitch Rapp heads to Afghanistan to track down a missing CIA agent. At first glance it looks as if Rickman has been kidnapped, but Rapp knows certain things about his old friend that cause him to wonder if something more disturbing isn’t afoot. Irene Kennedy, the director of the CIA, has ordered Rapp to find Rickman at all costs. Rapp must navigate the ever-shifting landscape of Afghanistan as the Taliban, Iranians, Pakistanis and Russians all plot to claim their piece of the war torn state. With Afghanistan crumbling around him, Rapp must be as ruthless as his enemies and as deceitful as people in his own government if he has any hopes of completing his mission. Well, Vince Flynn has done it again. For about six years I've been reading this series, and I'm STILL looking forward to the next book. This book takes place quite some time, I believe, after Term Limits. Rapp is back in Afghanistan, and a top CIA operative has gone missing from a secure safe house. No alarms were set off back in Langely, and Joe Rickman has a ton of dirty little secrets that could cripple the CIA, should they fall into the wrong hands. Does Rapp still have what it takes to get the job done, or is he losing his step? Oh. My. God. I knew this day would come, and quite frankly, I wish it didn't. 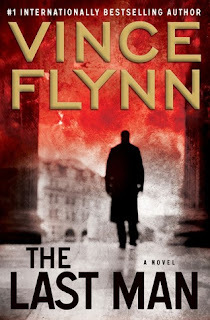 Now I have to wait good lord knows how long for another Vince Flynn book, and it's not fair! Not FAIR I tell you! I swear, Vince should let me do casting for his books and turn them into action movies, with none other than Jason Statham as Mitch Rapp. The badassery just never ends, and after reading this book, I feel as if the world is right again: corrupt politicians scheming for their own causes, jihaddist groups going off the deep end, and that one huge plot twist that just makes the book oh-so-worthwhile. I truly hope this series never ends, because I could go on reading about it forever. Five stars, all day, everyday. Read every book in this series, because they're TOO GOOD to put down!